Synopsis: For years, countless lives have been touched by the popular 'Footprints' poem. This new gift book features stories and reflections on how this poem came to be. I love and will never leave you. . . .
For over thirty years, countless Christians have drawn comfort and encouragement from Margaret Fishback Powers' uplifting meditation, Footprints. Now this beloved poem comes in a strikingly beautiful gift book. 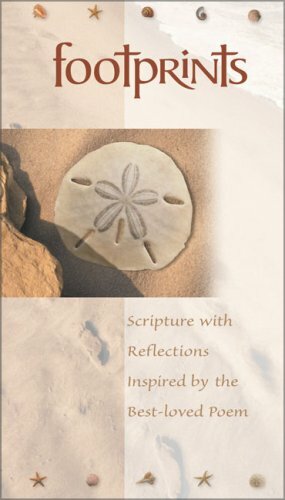 Each page pairs a line of the poem with Scripture verses, the words of a classic hymn, and vivid, original illustrations. Footprints is a wonderful way to remind someone of the Lord's unceasing faithfulness, care, and presence in our lifelong walk of faith.